After his involvement in a three-car pile up last week, Bray Wyatt is reported to return to action. A week ago Bray Wyatt was involved in a three car pile up and was reported to have sustained several injuries from the wreck. Fans have been waiting all week to receive word on Wyatt’s condition and if he will be able to perform at Extreme Rules. Last Friday, news broke that Bray Wyatt was involved in a three car pile up. Reports came out this past Wednesday that Wyatt was the cause of the accident. This has all left fans wondering when Wyatt would return to the ring. It was confirmed by VAVEL USA that Bray Wyatt had just wrestled at a WWE house show, killing all speculation that the "Eater of Worlds" got injured in the wreck. Over the weekend, Wyatt was unable to attend the WWE Live events after his involvement in the wreck. Wyatt was also unable to make an appearance at Raw this past Monday due to the same reason. 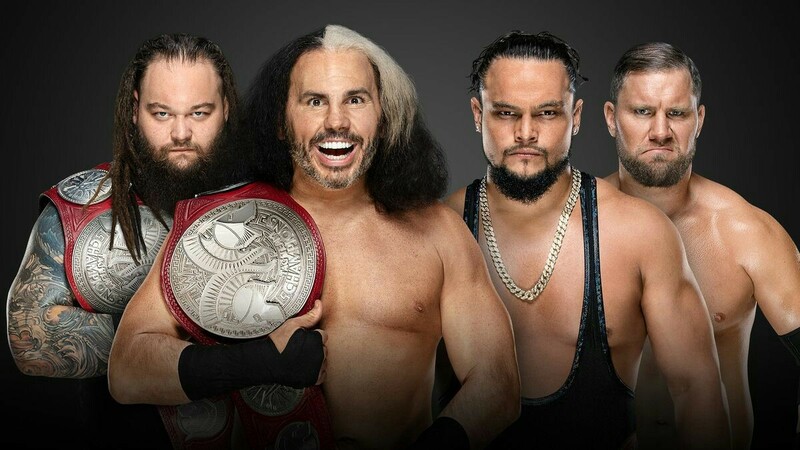 Despite his absence, the WWE continued to advertise that Wyatt and his partner Matt Hardy would still be defending their Raw Tag Team Titles at Extreme Rules. TMZ broke the news just days after the accident that it was Wyatt indeed who caused the wreck. According to police report, Wyatt was driving carelessly and “inattentive” behind the wheel. Wyatt would then crash into a car in front of him, causing the other car's driver to veer to the left and hit another vehicle. Wyatt was transported to a nearby hospital but was released shortly after. The WWE will be conducting their own evaluation on Wyatt to see if he will be fit to return to weekly programming. The WWE has yet to release an official statement but one could assume all is well for Wyatt. Wyatt did return to in-ring action tonight however alongside his partner Matt Hardy in a triple threat match against Titus Worldwide and the B-Team. This shows signs of optimism for Wyatt's health. It seems like Wyatt and Hardy vs the B-Team (Bo Dallas and Curtis Axel) at Extreme Rules is still a go. Expect an entertaining affair for the Raw tag team championship. Are you excited to see Bray Wyatt back in action? Let us know in the comments below.